Concrete is a surface that can add curb appeal and functionality to any home; however, if not adequately maintained, it can become an eyesore and a safety hazard. 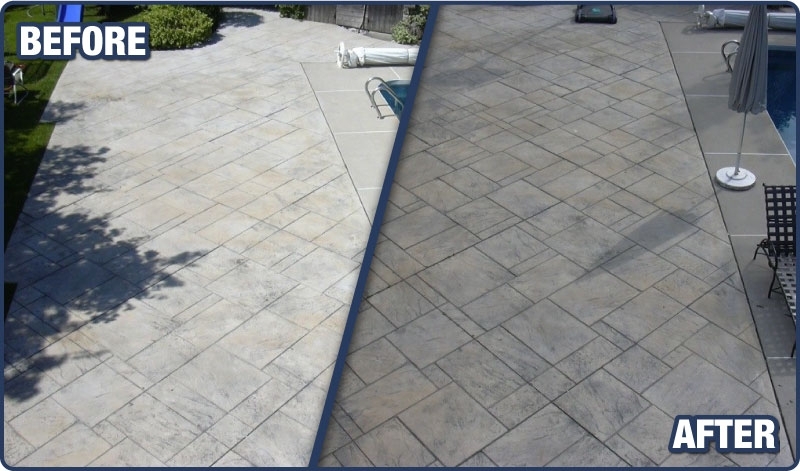 Over time, concrete can erode, stain and become damaged which causes an unsightly appearance. If you’re looking for a way to increase the longevity of your concrete, then concrete sealing is an excellent choice for your home. At Grant Roofing & Pressure Washing, we understand the importance of a beautiful looking home which is why we offer concrete sealing services to maintain the beauty of your concrete. Homeowners are now opting to seal their concrete as it helps protect it from damage, corrosion, stains and much more. If you’d like to preserve your concrete surfaces and enhance your home’s curb appeal, our skilled team of concrete contractors can help. 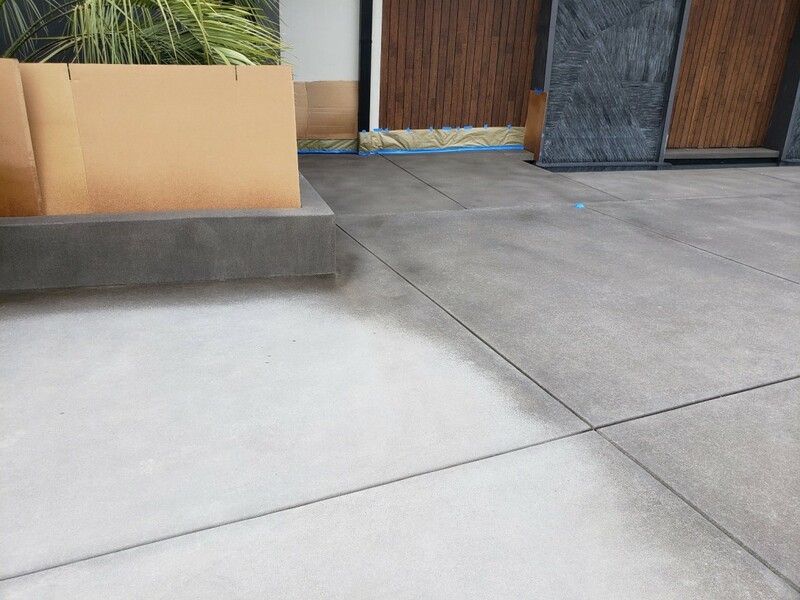 Concrete sealing is a method to help protect your concrete surface from numerous factors and outdoor elements. Being a porous material, concrete is prone to corrosion, staining, and cracking. Sealants can help in two ways– by either blocking the concretes pores to prevent absorption of liquids or form a solid barrier to prevent anything seeping in. One of the leading causes of deteriorating concrete is the “freeze-thaw” cycle. This happens when the concrete becomes overly saturated, freezes and expands causing distress to the concrete. The more this cycle continues, the worse off the concrete will be. It is recommended that homeowners who live in freeze-thaw climates should invest in concrete sealing as this can preserve the surface of the concretes. From beautiful patios to ornate driveways, if you have concrete around your home, you want to protect the beauty as long as possible. There are many reasons why concrete sealing is a great idea for your home. Below are just a few reasons why our customers are choosing to seal their concrete. Increased Durability - The durability of your concrete is enhanced when it’s sealed. Since exterior concrete is exposed to the elements, it’s more prone to cracking, chipping and discoloration. Protection - Sealing your concrete can protect it against spills and stains, such as oil and paint spills. Longer Lifespan - Typically, a concrete driveway will last around 30 years. However, if the concrete is showing signs of wear and tear- it’ll need to be replaced sooner. Sealing your concrete can help ensure that it lasts for the full 30 years. For more information on concrete sealing, contact our expert team of concrete contractors at Grant Roofing & Pressure Washing today.